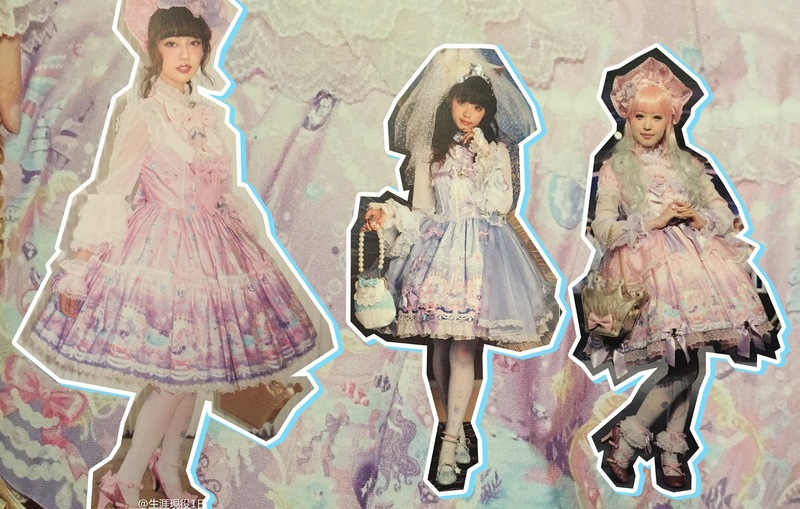 Another amazing print from Angelic Pretty, this one is called Marine Kingdom! The colors of the print are gorgeous and it comes both with ribbons and lots of extra details and more of a simple standard jsk. I'm not much for overskirt but I think it goes well with the theme. I really love the shoes with the stars in the middle, want those in every color because they are super cute! The purse with the big pearls looks really cute and fancy but I don't know if it will be comfortable or practical so I'm not going hunting for it. I think this dress is one of the better coming out, good going Angelic Pretty!